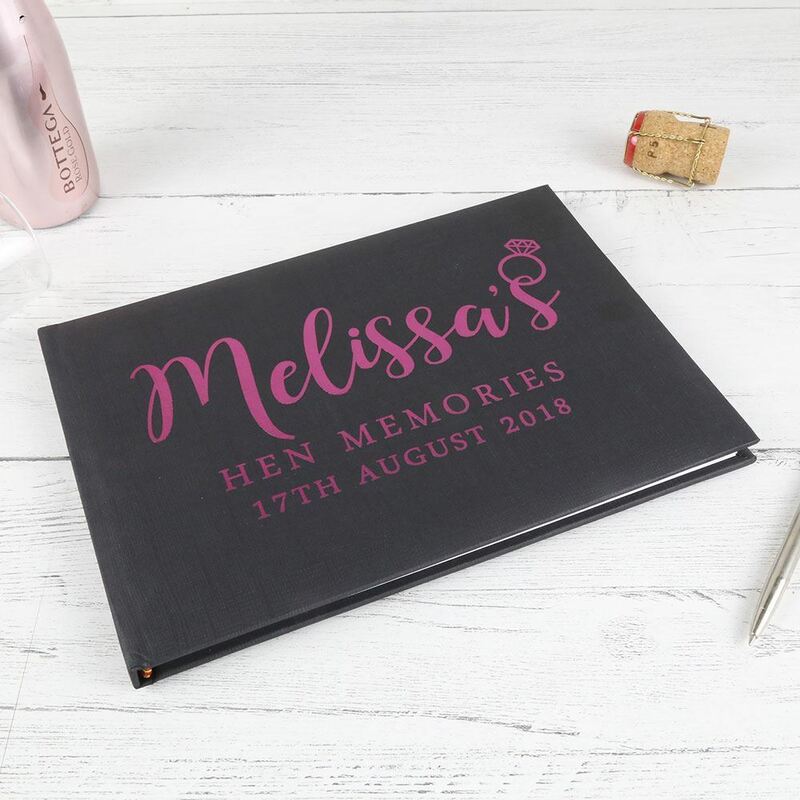 Keep the memories from your hen night or hen weekend with our Hen Night Guest Book. Stick photos in, let your hens leave messages and store any tickets or other memories from your last night of freedom. 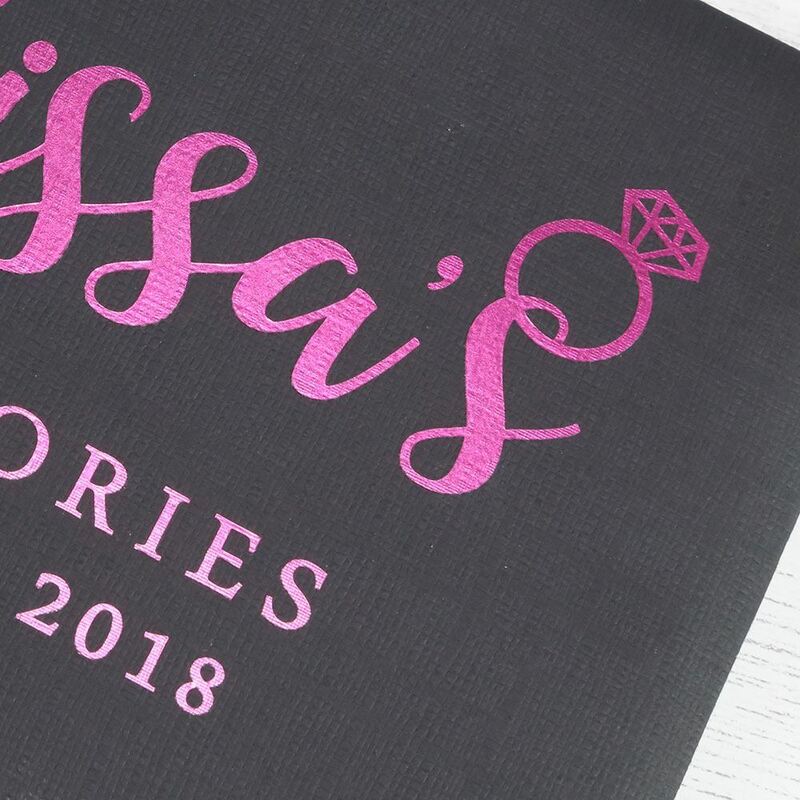 Keep the memories from your hen night or hen weekend with our Hen Night Guest Book. 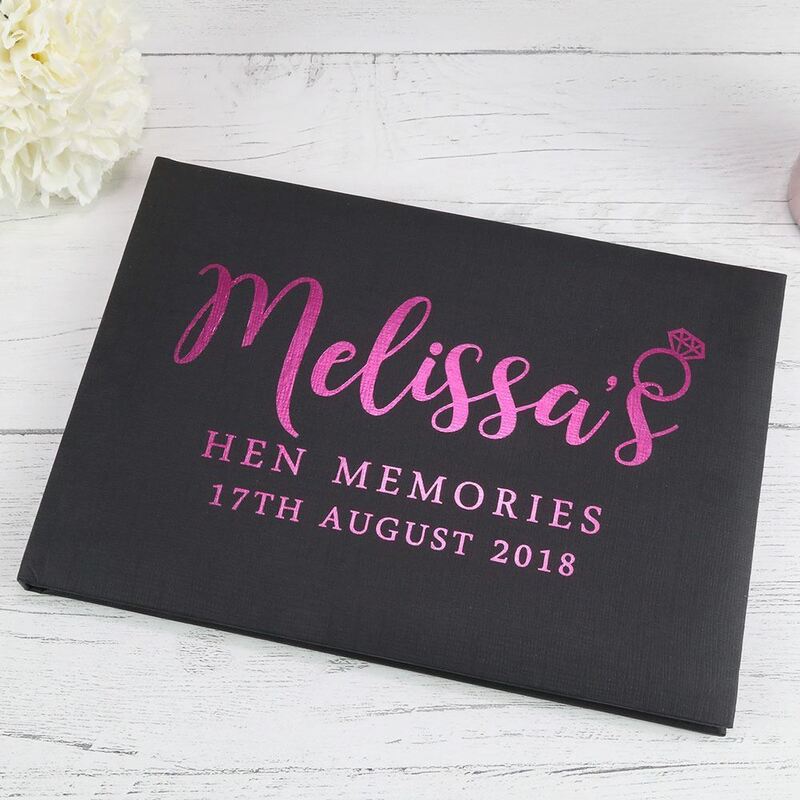 Stick photos in, let your hens leave messages and store any tickets or other memories from your last night of freedom. These books are small enough to store away but come with enough pages to fill with lots of lovely memories. 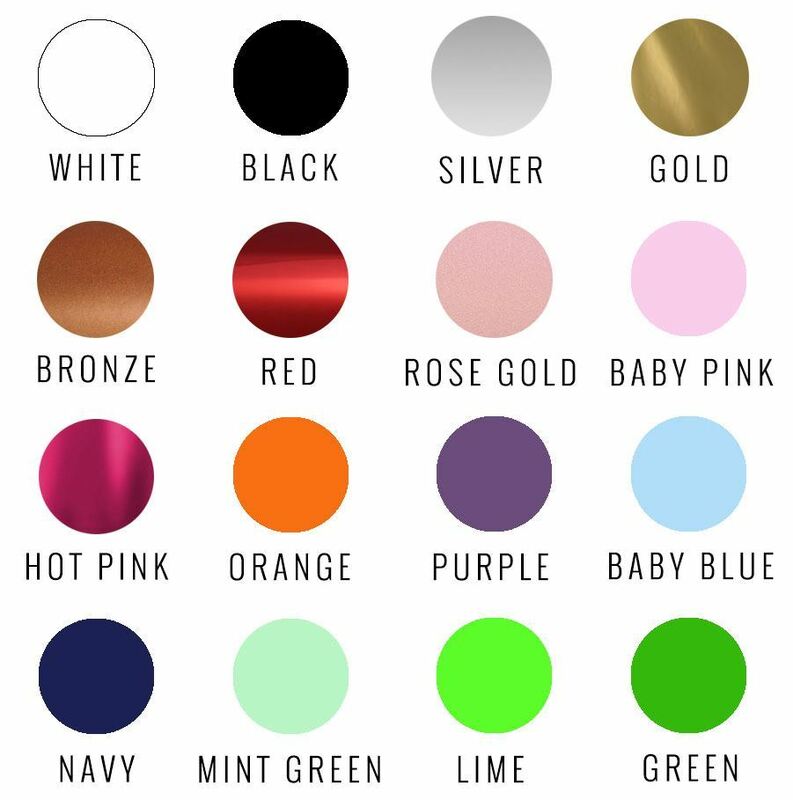 The book shown is black with hot pink wording but we can also do them in other colours. 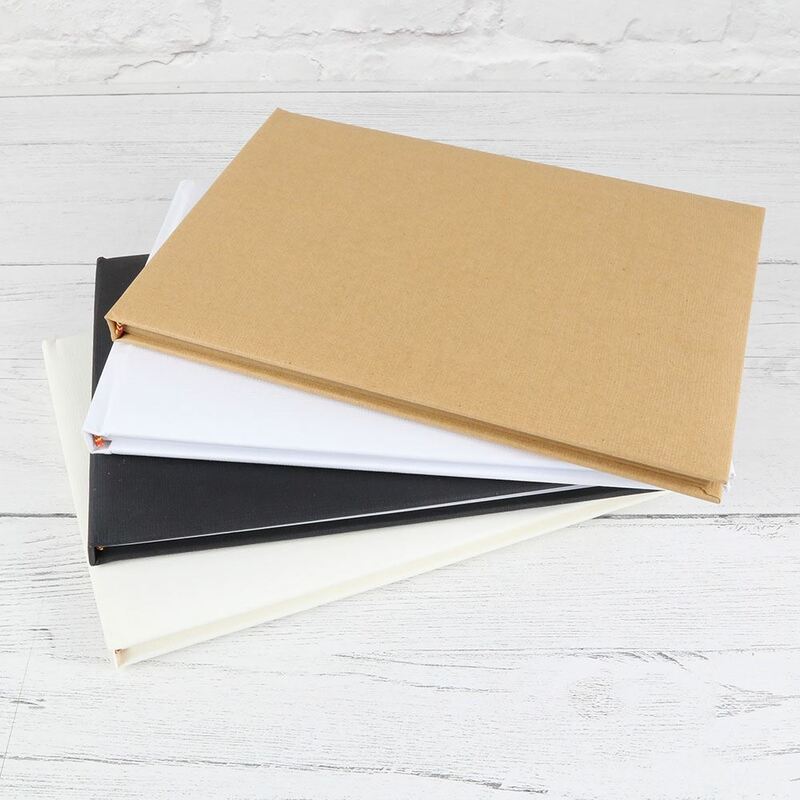 The black book has white pages inside so you don't need any special pens to write messages inside.